Everyone has experienced that relatable moment when you have to move back in with the person you cheated on your significant other with. No? What about the situation where someone keeps getting rejected from apartment applications because they almost burned down their last one? Still no? 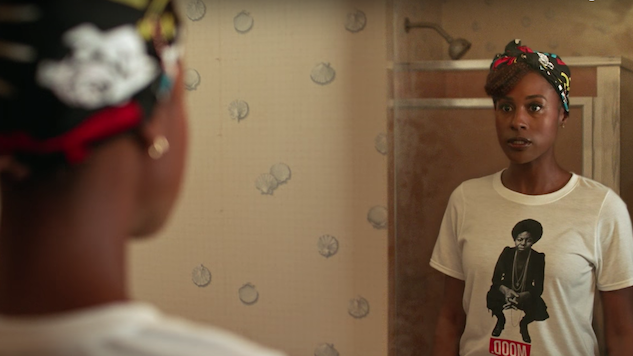 Well Issa Rae experiences all of this in the upcoming third season of HBO’s Insecure. HBO has released the full length trailer for the show so that you go ahead and “make all necessary arrangements.” From the looks of it, Issa is growing up; she’s got a full time job, she’s saving money (sort of), her skin is poppin’. But, she’s still living with Daniel and while she claims everything is platonic, the sexual tension is clearly rising. Also there’s no sign of Lawrence and his sweaters anywhere in the trailer. Season three of Insecure debuts on HBO on August 12. Watch the trailer below.